The incidence of inflammatory bowel disease is rising in general population, especially in adolescence and early adulthood, and consequently, it is rising in pregnant population. Interestingly the severity and progression of the disease depend on the disease activity during pregnancy. Therefore, it is mandatory to have a patient in a remission before planned pregnancy for minimization of the possibility of the disease progression and complications during pregnancy. When inflammatory bowel disease during pregnancy is active, an additional problem is the use of immunomodulatory and biologic agents which can influence fetal development. 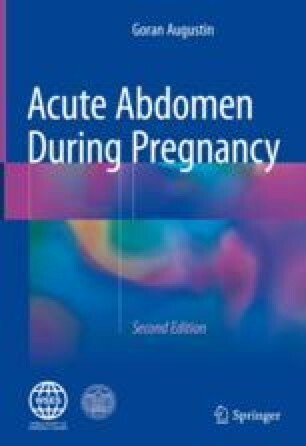 On the other hand, prolonged infection during pregnancy increases the rate of preterm labor, fetus small for gestational age, and other obstetric complications. An additional problem is pouch surgery before and during pregnancy because functional results can be lower due to the compression of growing uterus. Also, type of delivery could be influenced by the pouch surgery and pouch function at the time of delivery.